About the 1973 miners strike in Harlan County, Kentucky. The miners took on Duke Power in an effort to get more benefits and greater wages. Winning the 1977 oscar for Best Documentary, it delves into the lives of the miners and their loved ones and their struggle to be given the rights they deserve. This documentary is available through Netflix. This film is about strip mining and it’s negative affects on the environment, drinking water, and health of the people living near them. This documentary is also available through Netflix. Starring Rolling Stone writer Jeff Goodell, this documentary looks at the effort put into the “Clean Coal” advertisements. Is clean coal really clean though? This documentary tries to answer that question. While this film is not available on Netflix, go to the website to learn more about the film, find out about screenings, or purchase the film for yourself! Click on the banner to go to the website! Just released this year, The Last Mountain, is about a community's fight to save one of the only mountains in their area that hasn't been defaced by mountain top removal. Backed by Robert Kennedy Jr., the film is currently in limited release, but the website has lots of information on how to get involved and where to go to screen the film. Click here to go to the website! 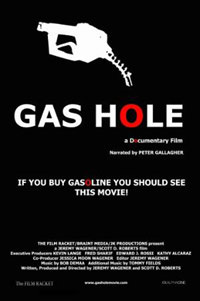 This film discusses the human race and its over dependence on oil and how that resource is quickly running out. This film is currently available to watch instantly on Netflix. Click here to be taken to the Netflix page! Narrated by Peter Gallagher, this documentary asks the question, why do we continue to use oil when we know that our dependence on it will be detrimental to our future? Just ask those in charge of the oil companies. This film is also available to watch instantly on Netflix or through IMDb here. To discover the answer you will just have to watch. The electric car has existed for decades. That’s right. Decades. In 1996 a new electric car hit the streets of California only to be destroyed several years later. But why? Who did kill the electric car? This documentary looks at the oil industry and the automobile industry to find out why these cars are continuous fight to be kept off the streets. This documentary is available through Netflix.